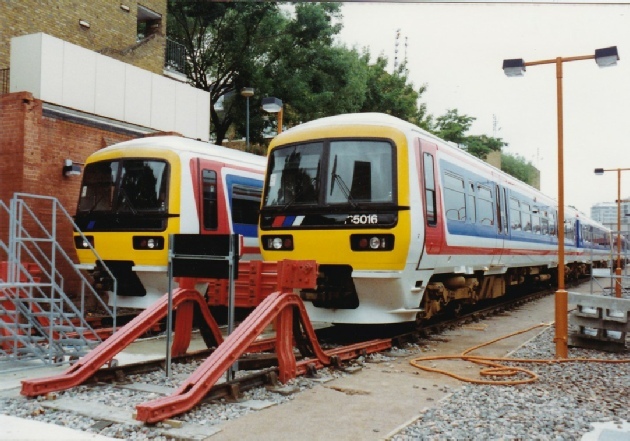 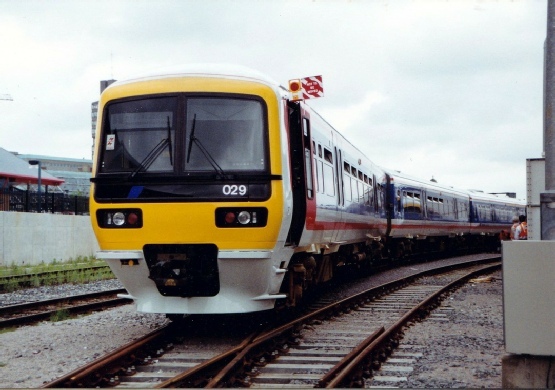 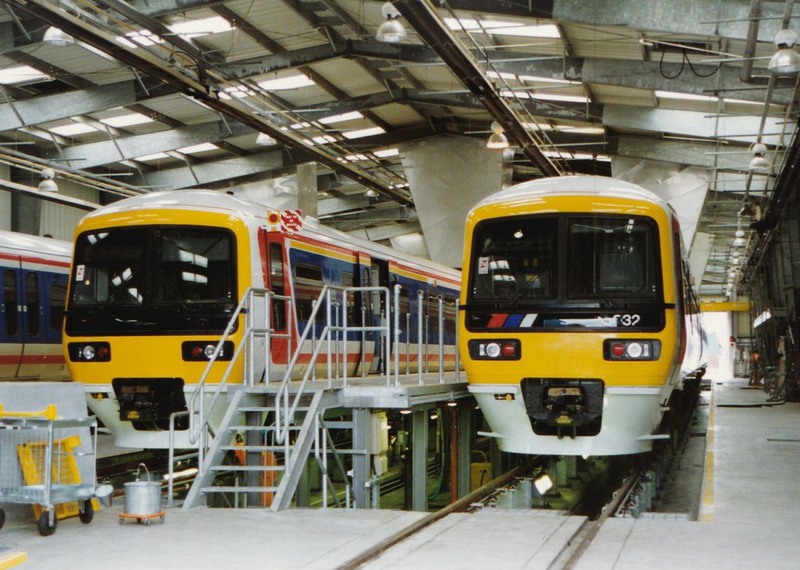 In June 1992 the Institution was treated to a private run from London Maylebone to Aylesbury via High Wycombe on an almost new Class 165/0 followed by a visit to the new Networker Turbo depot in Aylesbury. 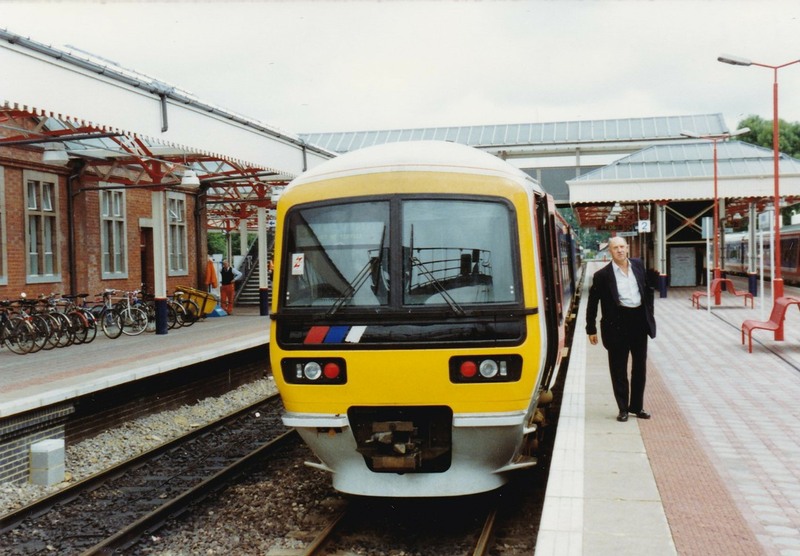 The return journey was via Amersham. 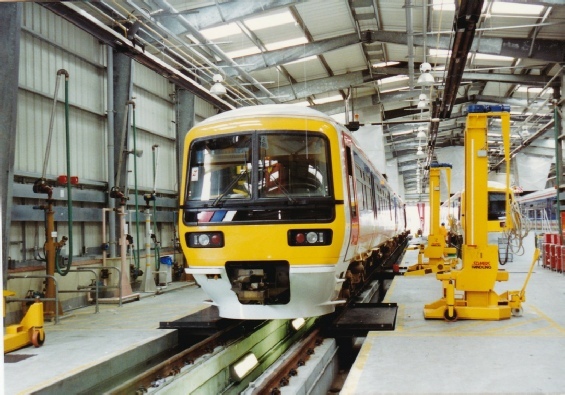 The journey included cab visits for members to see Automatic Train Protection in action. 165 029 outside Aylesbury Depot - at least some of the unit number was still intact! 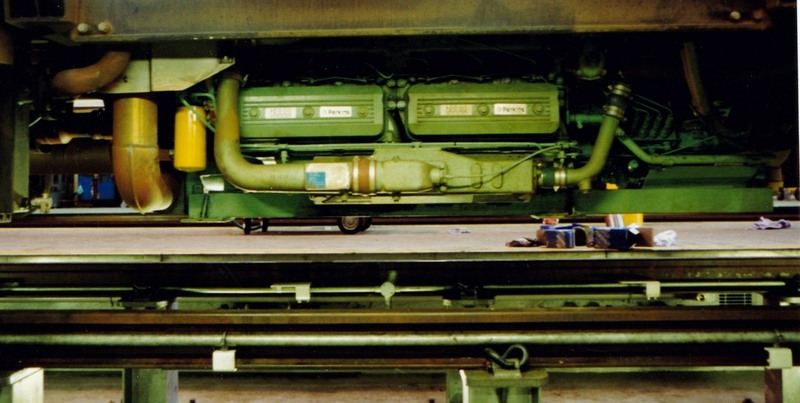 The units were still immaculate - note how clean the ‘skirt is around the couplings. 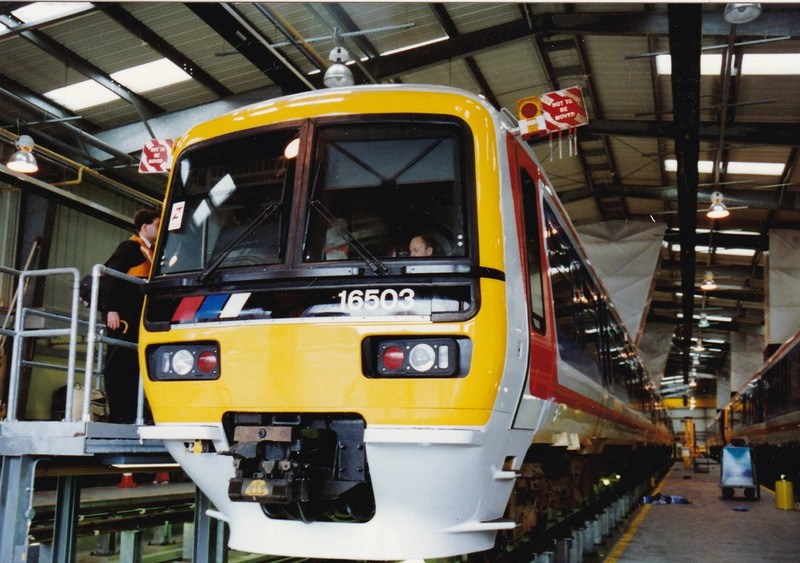 Apparently the outside of the trains were being polished with Turtle Wax to keep them looking good! Another anonymous unit sits next to the lifting jacks. 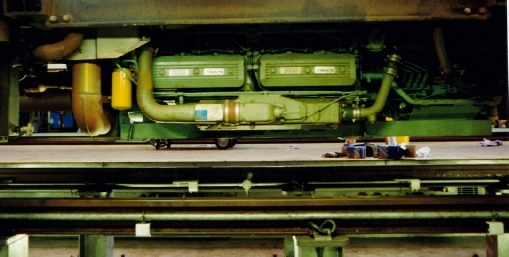 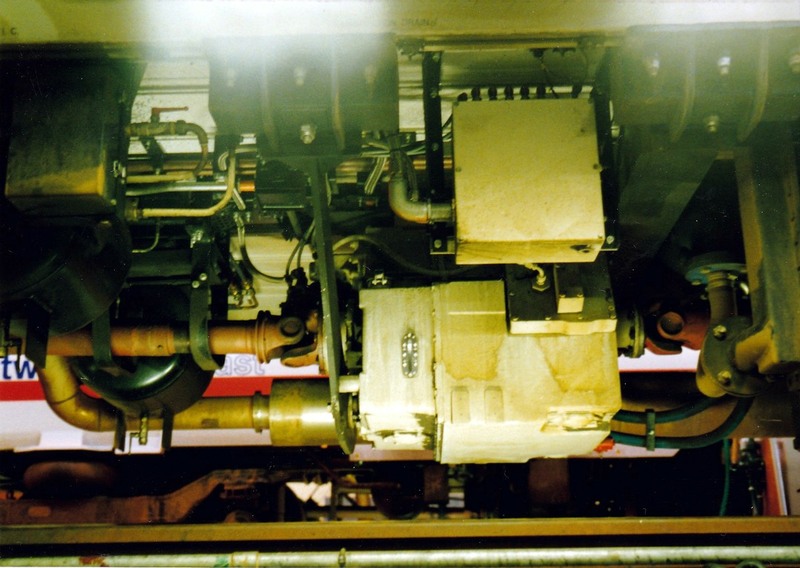 Note the triple pits each side of the rails and the drip trays next to the front bogie to keep the pits underneath clean. 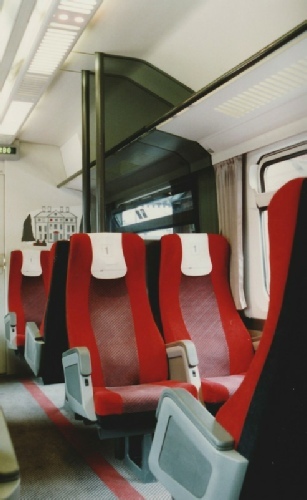 First and standard class interiors on the Class 165/0 as built. 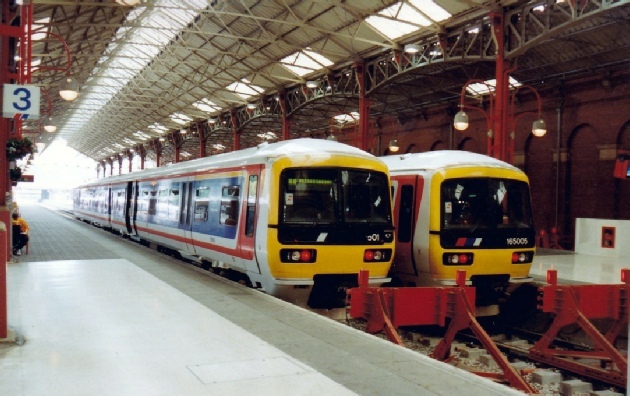 Note the Network SouthEast maps. The reading light switches under the armrests in first class was a questionable design feature! Like all Network SoutEast units of the period, they had Edward Pond murals at the vehicle ends, seen in the first class view - sadly now lost. 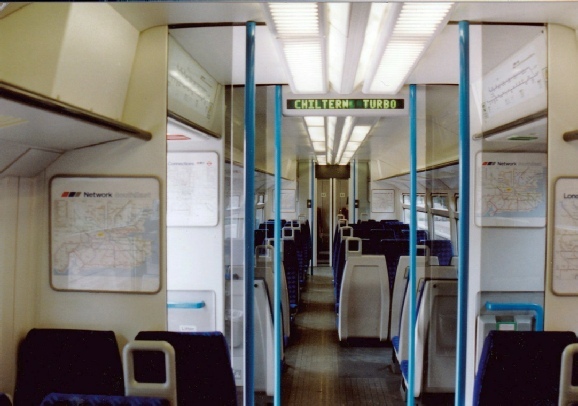 All the Chiltern 165s are now standard class only, but have subsequently been fitted with air-conditioning. 165 016 and another anonymous unit in the former goods sidings on the western side of the station. 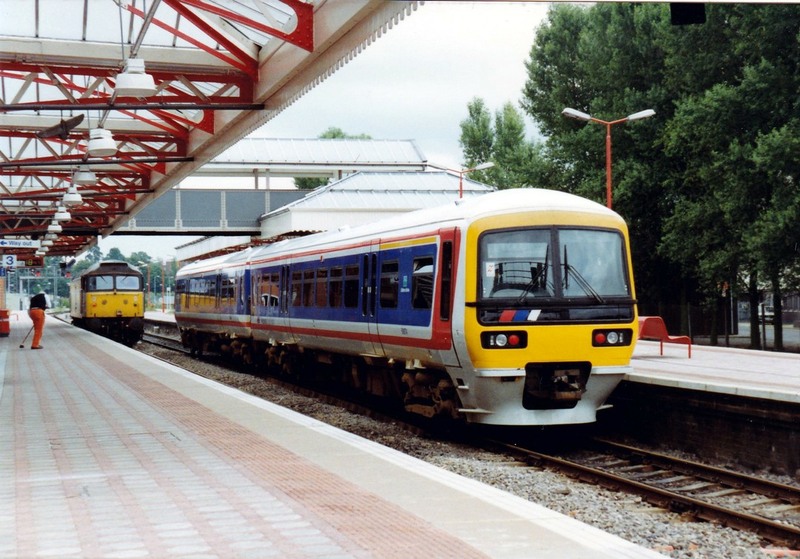 Due to the significant increase in services since Chiltern Railways was formed, the station has since been extended and new platforms 5 & 6 now occupy this location.